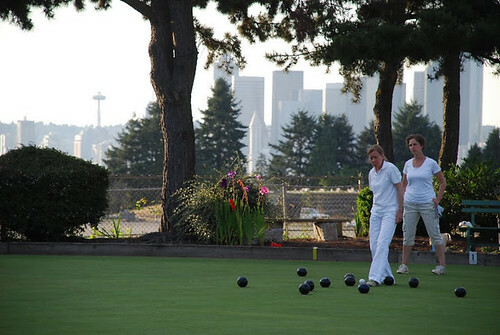 Lawn bowlers enjoy a world class view. Photo by Kat Marriner. information, check out the Jefferson Park Lawn Bowling Club website or stop by any Friday night from June 21st through August 30th. The club house and greens are located at 4103 Beacon Ave. S.